Our assembly benches range from the basic to professional, with a variety of bench sizes custom built to your specification. Our workbenches can be built to hold lighting, tool holders, tools, power supply units, monitors, keyboard and mouse, magnifiers, shelves and binning units. 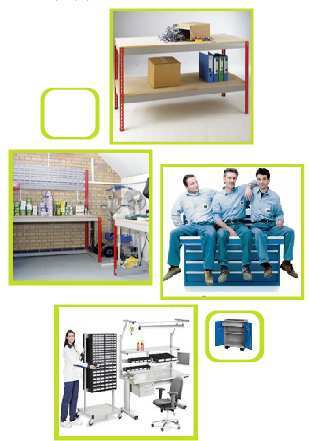 Available in a variety of sizes, packing workbenches are built for ease of use, & are aimed at maintaining efficiency for the operator through ergonomic design which places material storage right at their fingertips. ESD workbenches for electronic assembly includes anti static benches, or ESD protected benches, & offer full protection to the electronic components being assembled. Our range of Industrial furniture, workbenches, workshop equipment lockers, & warehouse supply are built to accommodate heavy loads, & are available in various finishes for the bench tops. We will both design, & install the workshop equipment storage for you, to your exact specifications. 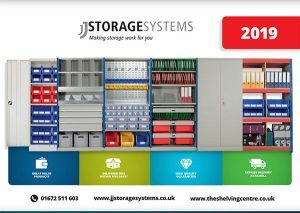 JJ Storage have a 420 page catalogue which is filled with everything you will ever need for your workplace, or workshop – a good tool for reference.